Ever wanted to use your mouse wheel to control your notebook’s screen brightness? 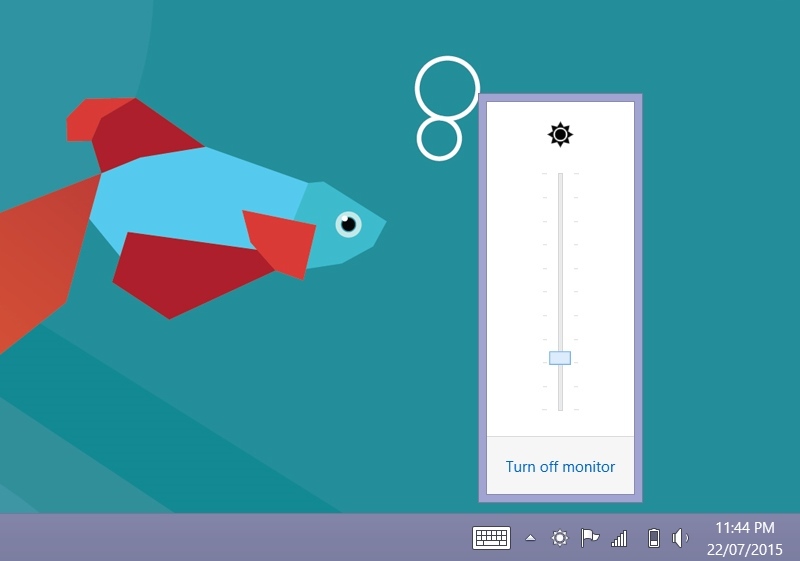 BrightnessTray is a simple utility for Windows which lets you control your laptop screen brightness, right from your system tray. Power off the laptop screen, and any connected monitors if possible. 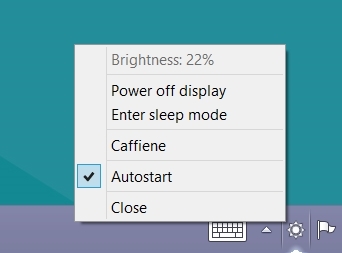 Enable ‘Caffiene’ mode to keep the monitor from turning off during idle. My maths stats tutor could really use this. Enable ‘Autostart’ to put a shortcut in the startup folder. Doesn’t control desktop monitors (e.g. DVI cable), only internal notebook display. Check out ClickMonitorDDC instead. BrightnessTray is released under the GPLv3. See LICENSE. Thanks to David Warner’s WPF Notification Area Icon sample code.